What the Jewish festival is all about and why it is cause for celebration? It’s a festival to celebrate the saving of the Jewish people from Haman, who wanted to kill all the Jews. This was long ago in the ancient Persian Empire and the story is in the Book of Esther. Haman was the King’s right hand man. When the King got rid of his wife in favour of a new one, Esther, Haman expected her cousin Mordecai to bow down to him. He refused to do this, so Haman took the rather over-the-top action of plotting to kill all the Jews. On Purim, we celebrate with parades, costumes, food gifts, festive meals, and the giving of charity. It is tradition to have a Purim feast called a seudah on Purim day, which follows a fast. It is believed that while Esther lived in the palace, she ate only vegetarian food in order to avoid eating non-kosher food. Purim feasts are therefore filled with dishes made with vegetables, nuts, seeds, grains, and legumes. 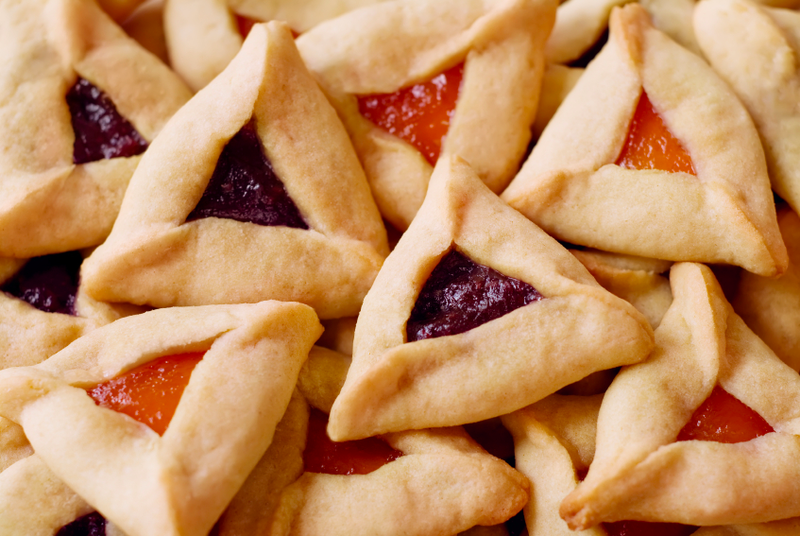 So get out your noise-makers and enjoy these 10 dishes that are perfect for your Purim feast.